No one wants to limit their living space in the four corners of their house. Decks are made so homeowners can extend their living spaces and enjoy the outdoors while still being in the comfort of their own home. You can have you deck in a number of ways. All you need to have a is the right imagination and the perfect placement! Living in New England and having to battle the severe winters and hot summers can do tremendous damage on home exteriors. Heating costs can be overwhelming in the winter and air conditioning costs high in the summer. 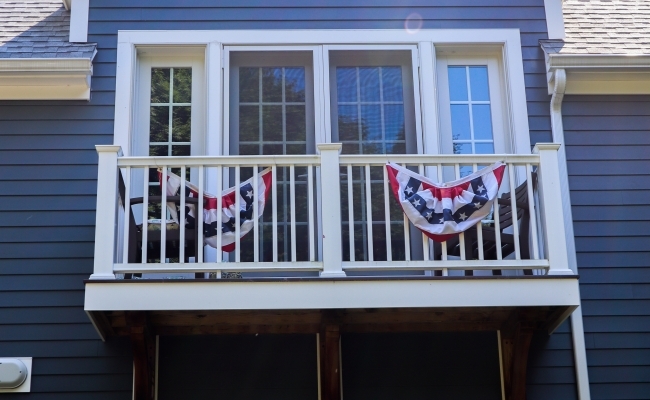 Because Precision is licensed and exceed their continuing education requirements, they are up to date on all the building codes with respect to decks and patios. 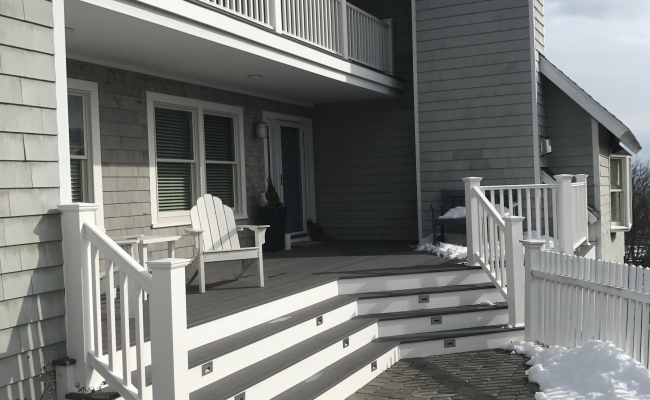 New England homeowners enjoy the limited time that they can spend outside in the summer and a well built and architecturally sound deck is crucial to being worry free. Living in New England and having to battle the severe winters and hot summers can do tremendous damage on home exteriors. Mass Save is a state run organization that offers homeowners tax incentives and rebates in order to help upgrade to more fuel efficient roofing, siding, insulation and windows. Precision Remodeling is up to date on all the programs offered and can help a homeowner optimize these resources. Our team of valuable home designers works very closely with you, helping homeowners design their homes with the perfect decks and exteriors. With nearly 20 years of experience, Precision Remodeling and Construction LLC is one of Boston’s trusted source for home remodeling. Our team of experts can help you fully transform your house with captivating decks and exteriors that captures your wants and needs. Take a look at some of our most recent work below.